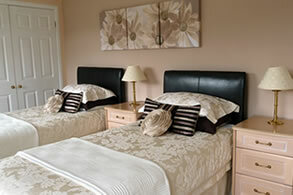 Our rooms are all warm, pleasant and welcoming. 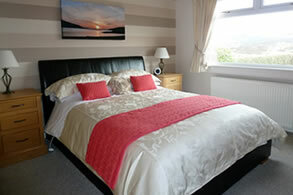 As Broombank is a bungalow, all our rooms are on the ground level so you don't have to carry your luggage upstairs! 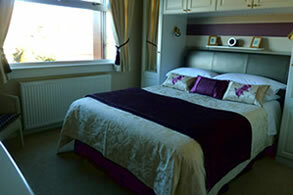 All our rooms have their own colour TV, tea and coffee making facilities and hairdryer. We have wireless broadband available for residents. If you have any special requests for items to assist your stay with us, we will try our best to obtain these for you if you let us know in advance. Looks out to the back garden. Views over Ullapool River to the golf course and the Summer Isles and Loch Broom.